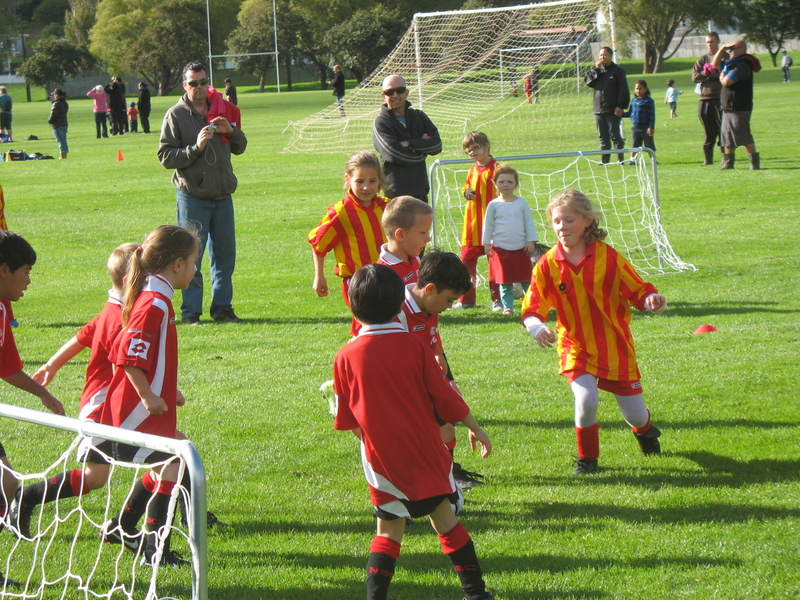 It was a scene being repeated all over New Zealand in soccer, rugby, league, hockey, netball and other codes: sun shining, kids everywhere, friendly and sociable parents on the sideline who become anxious, amused or proud as the game starts and their offspring tear about the field. Fifty-two years ago I was one of those kids. At the northern end of Naenae Park sits the Randwick rugby league club. My freezing worker father took me to play league for Randwick in 1960 when I was five. I still remember my dark blue jersey and its gold double V on the chest. The clubrooms then were down on the Hutt riverbank at Strand Park, not far from where Dad grew up in a little railway house in Moera. His brother designed the club’s kingfisher logo and another brother was club captain. The following year Dad took me to the other end of Strand Park where I played rugby in the red and white hoops of the Hutt club. After the game, Dad would adjourn to the Bellevue Hotel for a jug or two while I joined the other carpark kids sitting with their raspberries and lemonades. It was the start of 45 years of playing rugby, mainly for Marist, which ended only under threat of divorce. All six boys in Dad’s family were fine sportsmen. Dad and his brother George both played rugby for Wellington, George as a 20-year-old against the British Lions. George was also a Commonwealth Games athlete and professional league player in Sydney. An uncle told me that in the 1930s and 40s, their father Bill, a tradesman painter at the railway workshops, would bike all over the Hutt Valley on a Saturday trying to watch as many of his sons’ games as he could. Bill’s parents came to New Zealand seeking a better life. His father James, my great-grandfather, was Irish Catholic from Co Tipperary and his mother Mary Jane Winter was Irish Protestant from Co Armagh. Burying those religious differences was part of making a new life in a new country. Bill may well have thought he was living that better life when he proudly watched his boys play on sunny Saturday afternoons. Social historian Tony Simpson says that New Zealand has attracted two types of migrants. One group see it as a wonderful place to live, the other as a wonderful place to make money. The latter, who are now selling our farms and energy companies, have been in the ascendancy for 25 years and suburbs like Naenae have had a tough time of it. 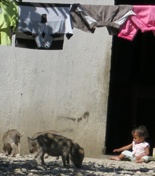 Yet there’s still a resilience and friendliness in those communities. No one pays the parents, coaches and supporters but they’ll all be back at Naenae Park next Saturday and every week after that. My grandkids loved their first games and can’t wait for their next. I’ll be on the sidelines too. This entry was posted on Monday, April 23rd, 2012 at 1:52 pm and is filed under Sport. You can follow any responses to this entry through the RSS 2.0 feed. You can leave a response, or trackback from your own site. Now Pat this brings back wonderful memories of coaching my nephews playing for the Porirua Rugby Club that has since amalgamated with Titahi Bay to become Norths. Later in Nelson, my sons Hayden and Sam turned out first for the historic Nelson Club then the Tawa Rugby Club in the early 90s where I coached until Sam joined the Tawa soccer club. Those early frosty mornings prepared me for my early mornings getting up at 5.30am for golf these days. No doubt that the early starts can be character building. I’ve spent many hours on the sidelines over the years and Saturday sport always struck me as such a Kiwi thing. There’s the occasional painful parent or supporter but most are great, particularly the organisers and coaches in all these little clubs who make it happen. P.S. Marist beat Tawa last Saturday.